Web designers make decisions on small details that can highly affect the website visitors’ experience. A recent study from Optimal Workshop, the company behind web experience research at companies like Netflix, Dropbox, and NASA, digs into the home link on websites, and whether it works better than the company logo in taking website users back to the main page. pdf.js is an HTML5 technology experiment from Mozilla that explores building a faithful and efficient Portable Document Format (PDF) renderer using Canvas without any native code support. The goal of the project is to create a general-purpose, web standards-based platform for parsing and rendering PDFs, and eventually to release a PDF reader extension powered by pdf.js. Integration with Firefox is a possibility if the experiment proves successful. 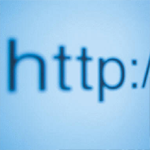 Search-engines have reached a impasse with respect to understanding of HTML data. Although most sites, especially databases centric sites use structured data in the backend, once the data is rendered as HTML the data looses all its structure and makes it difficult for search engines to understand them correctly. Until now most search engines have relied on extracting keyword text from the web pages and ranking the pages accordingly, taking the context around the keyword into consideration. This obviously has its limitations and it can only take you so far.